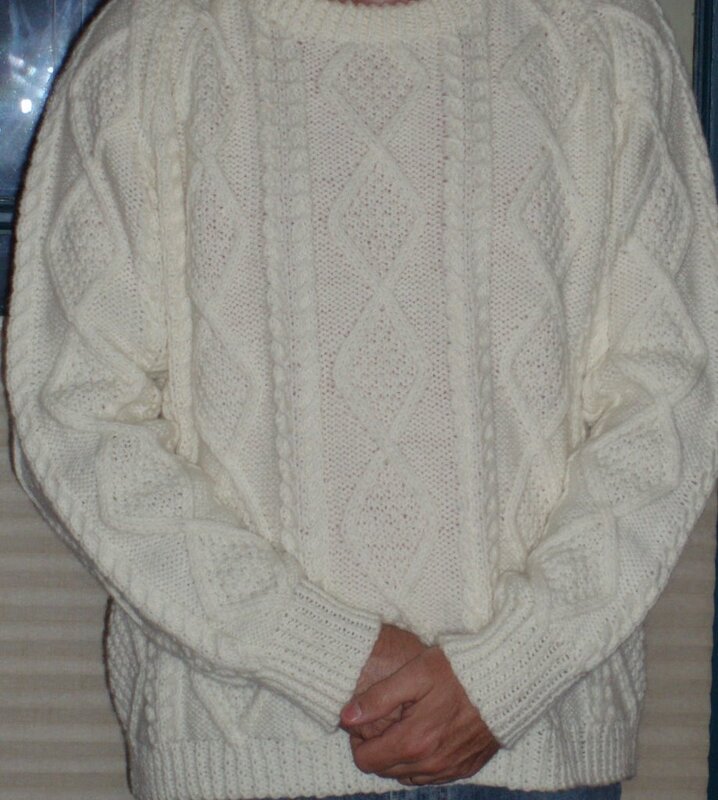 Nothing like seeing the finished sweater on the person for whom it was meant. I'm extremely pleased and so it appears is Keith. We had a too short long weekend visit with him and my sister. Good food, good wine, good gin, and good laughs. GORGEOUS!! And the fit is perfect! 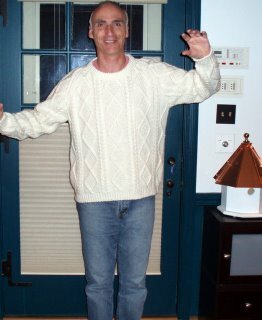 "...a year of guilt and ten days of knitting ..." Good lesson for all of us! [grin] Cheers!